Guy Ritchie just had his biggest financial success since marrying Madonna this winter with the blockbuster Sherlock Holmes. Now he has his sights set on a script written by famed comic book writer, Warren Ellis. The script is an updated version of the King Arthur tale. Warner Bros. apparently like the treatment that Ellis gave, and are looking for writers to push out a full script, and Ritchie looks like he is attached to direct. 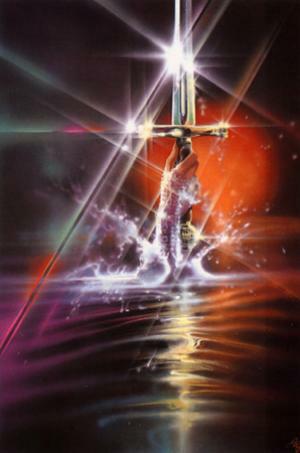 It has been denied that it is an updated version of the 1981 film Excalibur, starring Helen Mirren, but as more of a “Star Wars like version” of the popular tale of King Arthur. Although, the production team behind it, The Hollywood Gang, seem to want it to follow the more traditional underpinnings. I’ve made it no secret that Warren Ellis is probably my favorite comic book writer of all time, and I think I’d throw down a ton of cash to see him take on the legend of King Arthur. Add in Guy Ritchie who has his moments, and you might have the right kind of gritty take on King Arthur that will wash out some of the bad tastes left by some completely awful adaptations. Most likely this film won’t see the light of day anytime soon, since Ritchie is tied to the Sherlock Holmes sequel for sometime, which just makes me a bit more frustrated.